﻿ Brian S. Miller, C.P.A. As a CPA Firm in Monroe, Louisiana, we provide Financial, Accounting, and Tax services to clients throughout Northeast Louisiana area as well as the entire United States. We serve a variety of clients, including individuals, partnerships, LLC's, and Corporations. 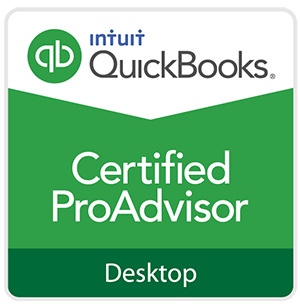 We are Certified Quickbooks Pro Advisors and offer training and setup for all Quickbooks versions. Our mission is to provide superior professional CPA services to our clients that adds value to them by minimizing taxes and increasing efficiency. For a free consultation to see how we can benefit your business, call us at 318-340-1111 or email. If you need assistance with Quickbooks, tax preparation, bookkeeping or any financial matter, please contact us. Brian S. Miller, C.P.A., was born and raised in Oak Grove, La. He graduated from Oak Grove High School and then attended the University of Louisiana at Monroe and graduated with a B.S. in Accounting. He holds a Certified Public Accountant license. Brian is a member of the LCPA and the AICPA. 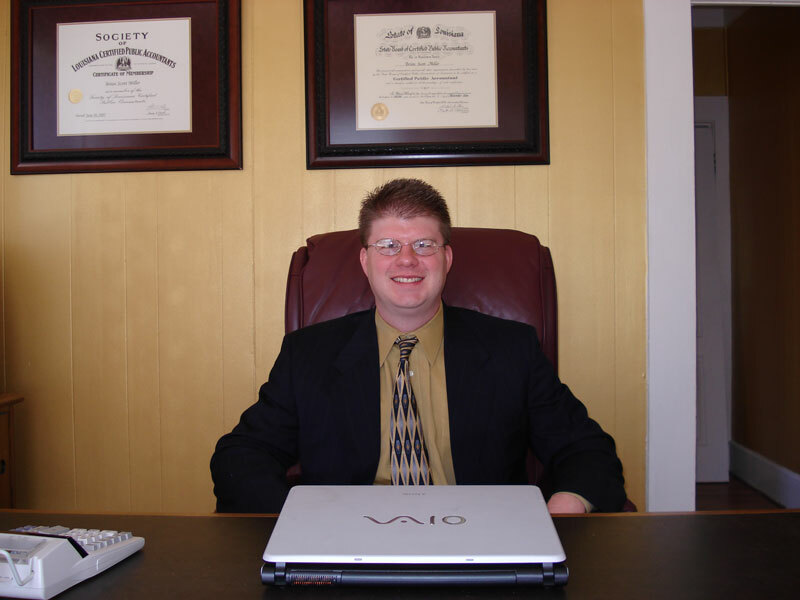 Brian has been providing Tax, Financial, and Accounting Services to clients throughout the State of Louisiana and Nationally in his own firm and other firms for the Past 17 years. We assist small business owners in today's complicated world of tax, payroll and banking requirements. Business services that we provide include, but are not limited to the following. If you have any questions or need something not listed, please contact us to meet via phone or at our Monroe office. We assist individuals in taking all possible tax deductions. Additionally, we can help you with your estate and retirement planning and complex closely held business transitions, acquisitions, or divestitures. Individual services that we provide include, but are not limited to the following. If you have any questions or need something not listed, please contact us. Tax Preparation and Filing - E-file your return and receive your refund within 10 days. We can file returns for people in all states. IRS Representation - If you are receiving notices from the IRS for nonfiling or past balances due, please contact us to let us analyze your situation. We may be able to reduce your payments and/or make an offer in compromise. Estate Taxation Planning and Filing - Did you know that the estate tax rate is 55%? Proper Planning can help you shelter your estate from this tax. Investment & Retirement Planning - Start your retirement plan today, or let us evaluate you current plan(s) for the correct asset allocations. Tax Planning - Are you minimizing your tax bill? We can assist you in taking all possible tax deductions, deferrals, and credits. Multistate Tax Returns - We can prepare returns for all states in the U.S.
Goal Planning - Save for education, retirement or that dream house. Brian Miller, C.P.A. is a Certified Quickbooks Advisor and can help you with Quickbooks including setup, training, troubleshooting, and using advanced features. Call or email today for a consultation. Money spent up front for training and setup will save you 10 times that amount if the software is used incorrectly for someone to figure it out and clean it up on the backend. We also review client's Quickbooks files on monthly, quarterly, and/or yearly time frames to spot any transactions that might be problems or suggest how to do something better or more efficiently. Let us help you to maximize the power of Quickbooks for your company! Monthly financial reports: Bank reconciliation, general ledger, income statement, and balance sheet. Other customizable reports are also available. Notify us via email or call me at 318-680-7407 to tell us you want us as part of your team. You send via mail/fax/email your check register, credit card statements, bank statements, cash receipts, payroll information, and any other accounting information that we need monthly. We provide your reports via email, fax, or mail and will review your financial statements with you via phone or in person to answer any questions either party may have. Our pricing is very competitive and is based on the number of transactions and number of employees that you have. Most clients run between $100 and $300 per month.